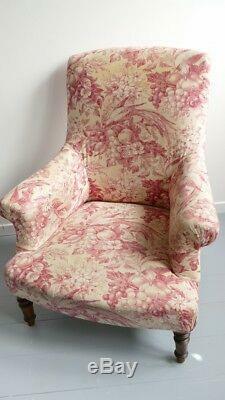 Napoleon III armchair very comfortable. Wide seat for comfortable comfort well cushioned with cushions. 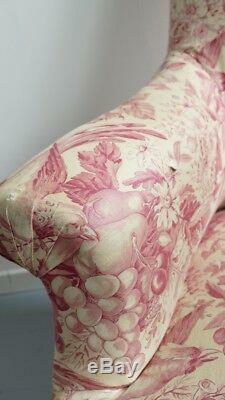 Traditional upholstery in very good condition, beautiful flowery fabric, birds and fruits to refresh, some snags. Napoléon era iii around 1860. Delivery by carrier 250 euros in France, or free by us once by me on paris. 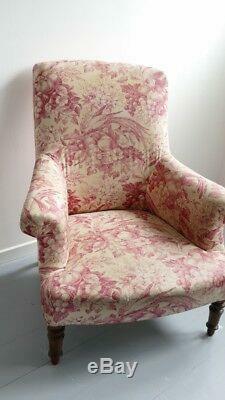 Width: 78 cm height: total 91.5 cm, seat 34 cm. 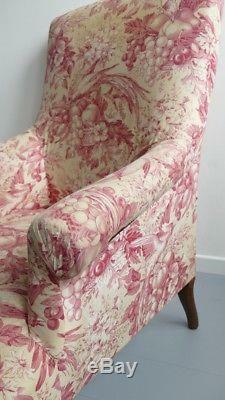 The item "napoleon armchair iii very comfortable, nineteenth time, bird fabric, flower" is on sale since Saturday, April 28, 2018. It is in the category "art, antiques \ furniture, xix decoration \ chairs, armchairs" . The seller is "legrenierdaugustine" and is located in / in cognac forest. This item can be shipped to the following countries: America, Europe, Asia, Australia.